I would like to start by saying Merry Christmas and Happy Holidays season to all. In between spending time with my family, decorating the Christmas three and opening presents, I did find some time to play around with my hobby and testing something in the lab. 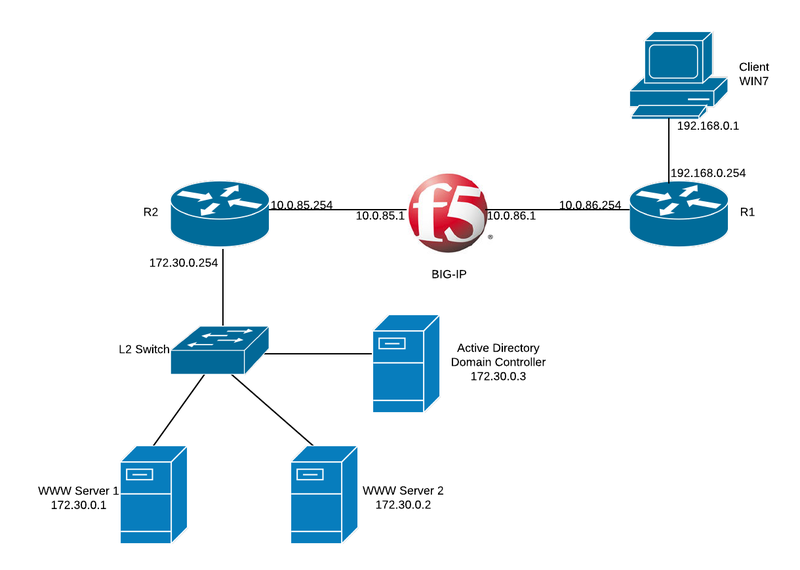 Lately I wanted to get a feeling how F5 BIG-IP works, you know, just to get familiar with its interfaces, rules and being capable of setting up a basic LTM or APM. Far from me the idea of becoming an expert on the first touch, but it’s nice to discover new technologies. 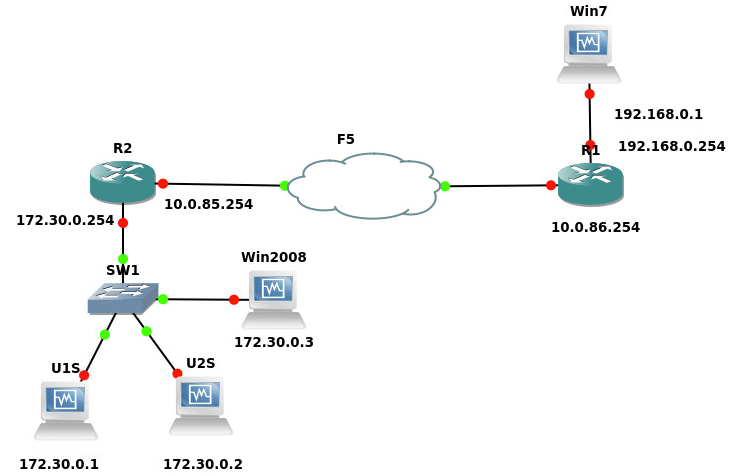 GNS3 is version 1.2.1 which works perfect. 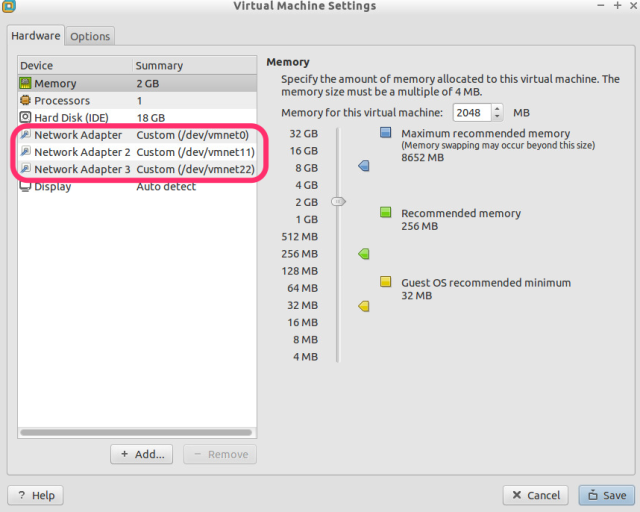 Why VirtualBox and VMware Workstation? Usually I have no problem to have my VMs in VirtualBox, but I could not successfully import the F5 BIG-IP VE OVA image in VirtualBox. I had to download a trial version of VMware Workstation to install the OVA image. Download the BIG-IP VE OVA image, get a trial license (valid for 90 days) and install it in VMware Workstation. 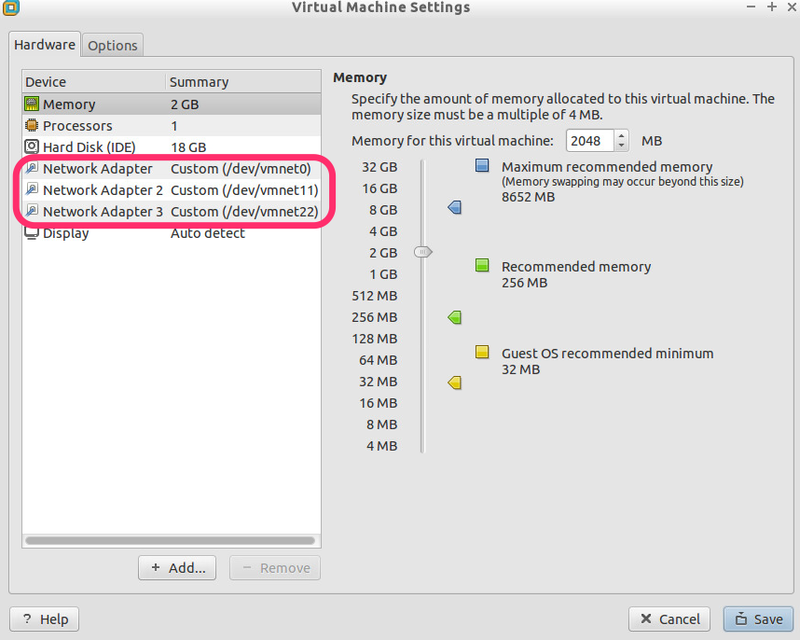 It may work with other VMware products, but in this article I’m using only VMware Workstation. The part that gave me some headache was the how to have a successfully network communication between VMware Workstation and GNS3. Before GNS3 1.2.1, when I had to use a “cloud” to integrate VirtualBox VMs in GNS3, I was configuring a TAP interface and use Bridge mode for the VM NIC to the TAP interface. Then on the GNS3 Cloud, I was adding the TAP as a Generic Ethernet NIO on the NIO Ethernet. 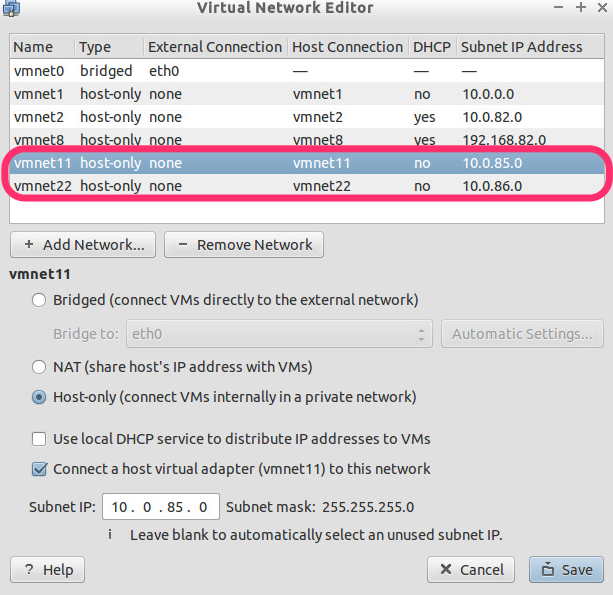 If you want to refresh more deeply the above information please read my article about How to integrate GNS3 with VirtualBox. Unfortunately, in VMware Workstation, I cannot just bridge a VMnet interface to a TAP and use that specific VMnet in a VM. I just could not make it work. To cut it short, here are the steps that I had to follow to have this working. I assume that you have VMware Workstation installed already. Another detail is that I’m using Ubuntu 14.04 to test the entire scenario. Use the image below to have an idea what I mean. *user = the non-root user which you use on Ubuntu host. If with GNS3 1.2.1 you can add the VirtualBox VMs directly, for the VMware Workstation (Player, Fusion, etc…) VMs you still need to you the Cloud part. 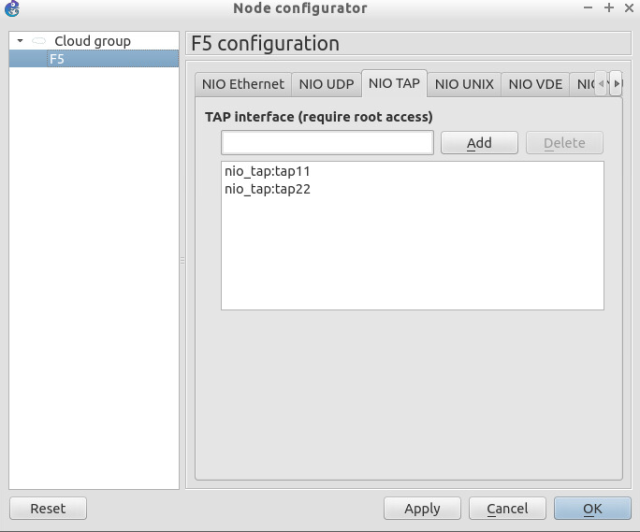 Like shown in the image above, connect the TAP interface of the Cloud to the peer routers. This will help you setup the environment to test F5 BIG-IP VE in a lab environment totally virtualized. I’m not going to cover here how to configure the F5 BIG-IP VE. Maybe in one of my next articles. If you encounter problems, please let me know in Comments.